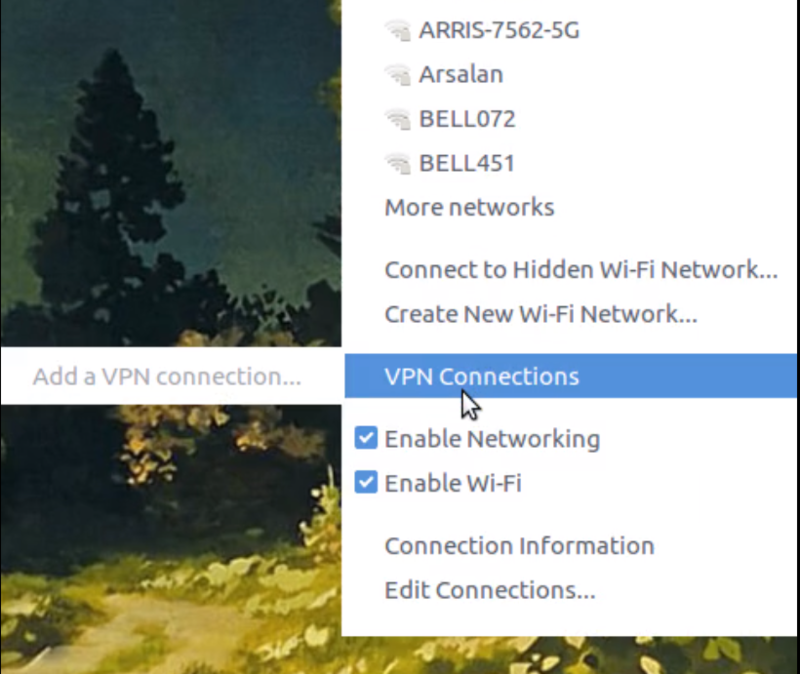 I'm trying to add a VPN to my network, but the option is greyed out. I installed network-manager-openvpn but still no luck. Editing my connection does not show any VPN settings or tabs. I'd appreciate it if anyone could point me in the right direction! EDIT: In case anyone else has this issue, the wording "Add A VPN Connection" is super misleading as it's telling you that you need to add a VPN connection, not that you are supposed to click to add one from there. So select Edit Connections, Add, and then select your VPN from there. In case anyone else has this issue, the wording "Add A VPN Connection" is super misleading as it's telling you that you need to add a VPN connection, not that you are supposed to click to add one from there. 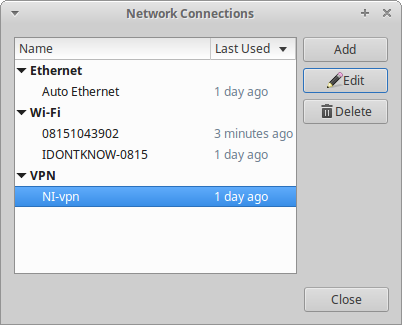 I used network-manager-openvpn-gnome instead of network-manager-openvpn to get the option to import the VPN configuration files. nm-applet normally starts at login by the desktop session manager and does not need to be run manually. In some versions of Ubuntu there were problems in the security policy. Not the answer you're looking for? Browse other questions tagged networking network-manager vpn openvpn or ask your own question. 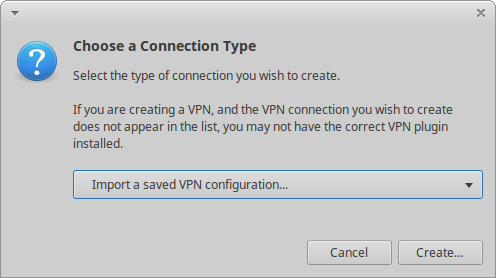 How to add a VPN connection in Ubuntu 16.10?